The CCTV system will continue to be funded by Falkirk Council. Falkirk Council’s executive committee took the difficult decision last week to cut full time CCTV monitoring across the district to save money. 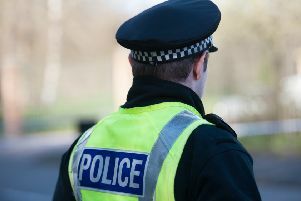 The crucial role the cameras play in discouraging crime and catching criminals has been supported by official facts and figures from Police Scotland and acknowledged by councillors. But facing mounting pressure to reduce spending, the move to opt out of providing constant ‘eyes-on’ coverage of footage produced every hour of every day and operate a peak-time service, subject to demand and risk analysis instead, was seen as the most viable way forward. Falkirk was forced to review its CCTV options last October after Stirling and Clackmannanshire Councils announced plans to quit the Forth Valley CCTV Partnership - an operation based in Alloa they helped pay for - on March 31 and provide alternative cover in their respective areas. The shock move forced a quick re-think in Falkirk and a decision to relocate the monitoring equipment to Falkirk Police Station to create a local CCTV network that would continue to cover ‘hot spots’ in and around Falkirk Town Centre and the villages beyond. A nine month contract with the company that had been providing the equipment and staff for 24/7 recording and monitoring in Alloa was in place for April 1 - but it was made clear then that the deal was temporary and would come under review before the end of the year. A report from the Accounts Commission that criticised the way the council manages its budget had to be taken on board when Stuart Ritchie, director of corporate and housing services, prepared his report to councillors. Scrapping the CCTV system entirely to save £203,000 a year was an option that found no support at all when the executive met. Equally, maintaining the status quo in the light of the millions of pounds of savings that have to be found over the next three years, was clearly never going to be agreed. That left the choice of peak-time CCTV - the cameras rolling 24/7 but only monitored at certain times - or a recorded-only service with no live monitoring. In his report Mr Ritchie said each option had “benefits, disadvantages, risks and challenges” and he provided facts and figures from Police Scotland to help councillors decide. He also pointed out the 80-plus cameras currently in operation across the area are based on analogue technology and to continue to operate the service effectively the council will have to invest in digital technology at some stage, the cost of which is currently unknown. The decision to reduce the monitoring service from 24/7 cover to a peak-time service will save the council £75,000 a year based on a 50 per cent reduction in the budget allocated to monitoring. The exact hours of operations will be based on ‘evidence and risk’ factors to establish an optimum operational pattern. On Police Scotland advice this may not be fixed, but flexible to ensure the footage is being viewed live at key times on key days. Figures show that between April and July CCTV assisted Police Scotland attend 1079 incidents.